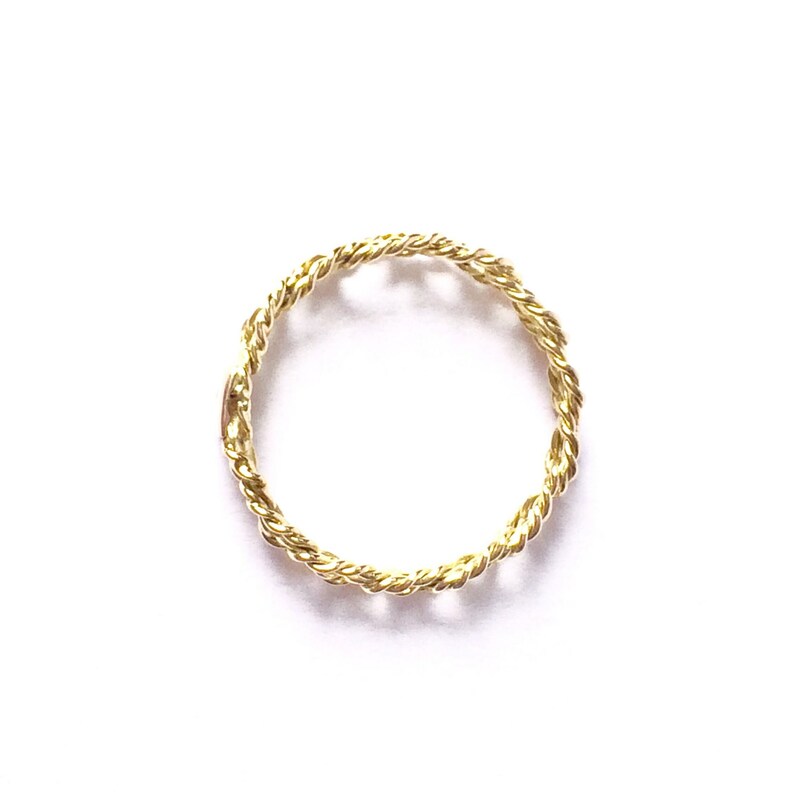 Size US 6 - UK M - 18ct yellow gold ring Olympe - Ready to ship! 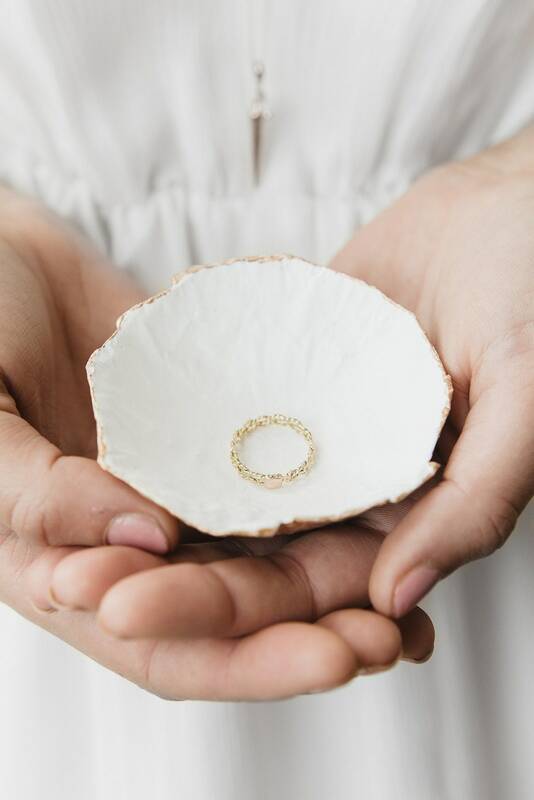 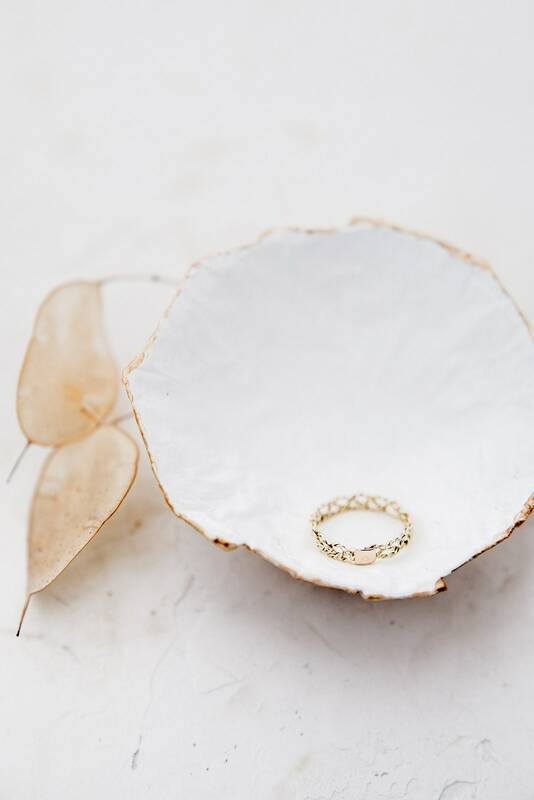 Size US 7 - UK N 1/2 - 18ct yellow gold ring Olympe - Ready to ship! 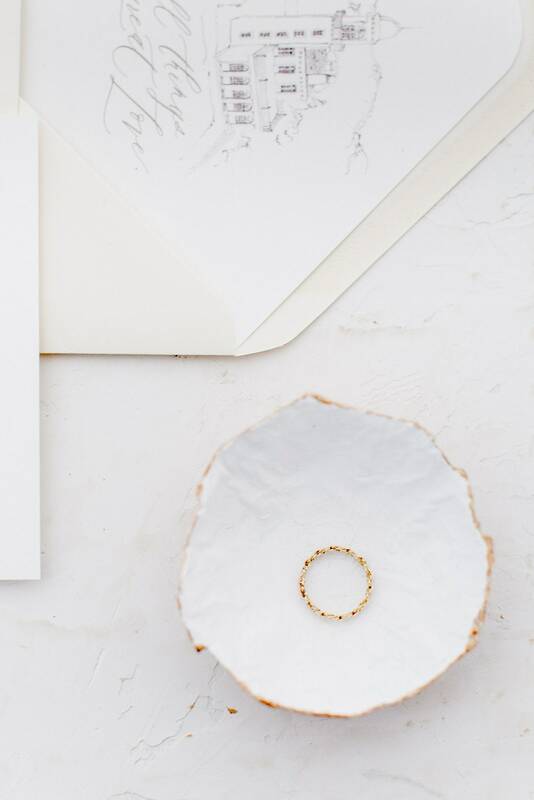 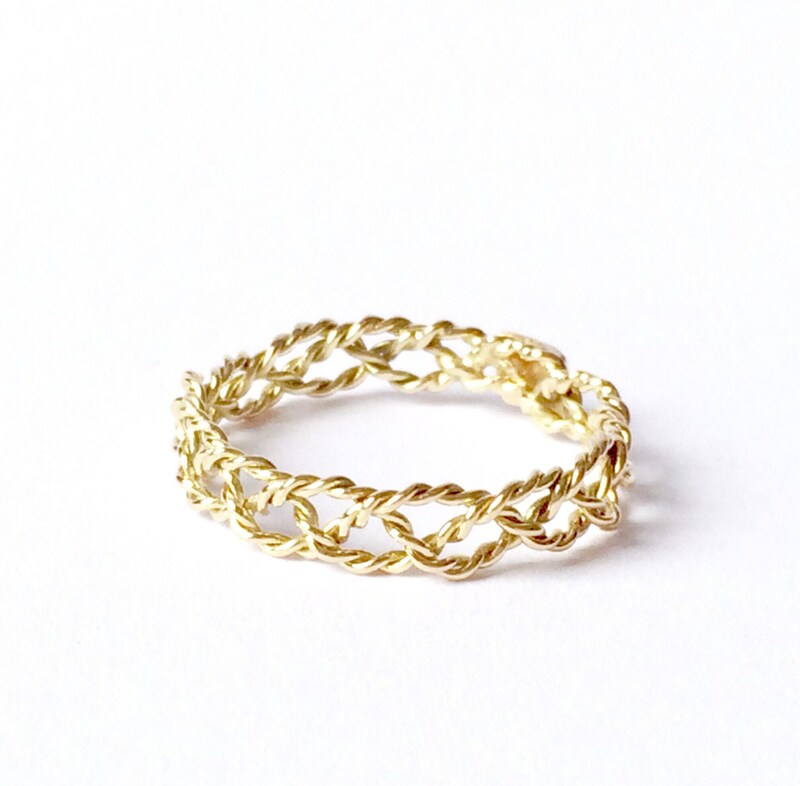 Olympe ring is made of twisted wire, braided together. 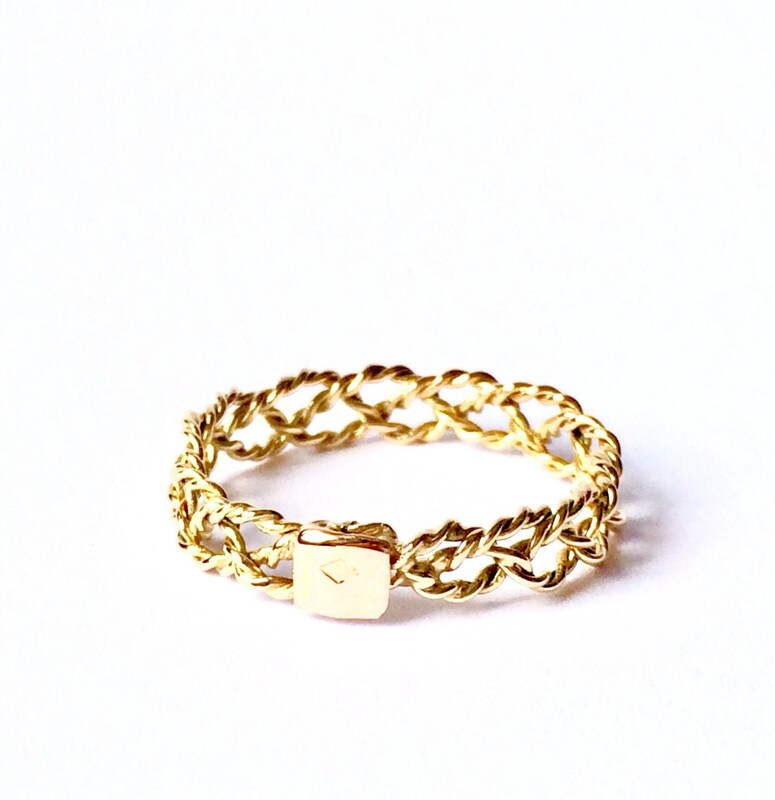 Those interlocking gold wire make an delicate and elegant band on wich a gold tag is solder. 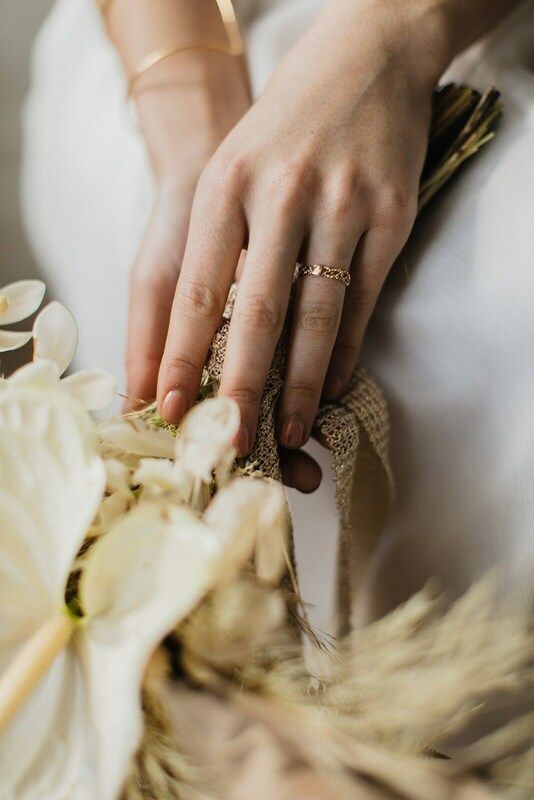 Great to adapt and wear with other rings or to be wear on its own any finger.